Preheat oven to 220°C (425°F). Heat the oil in a 30cm round heavy-based ovenproof frying pan or baking dish over high heat. Add the chorizo and cook, stirring, for 2 minutes or until crisp. Remove the pan from the heat. 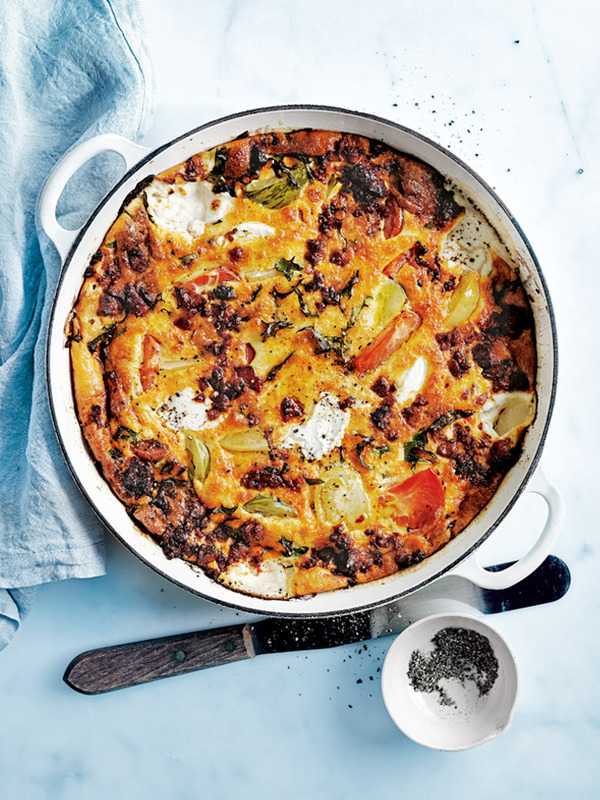 Spoon the goat’s curd over the chorizo and top with tomato and kale. Place the eggs, cream, parmesan, salt and pepper in a large bowl and whisk until well combined. Pour the egg mixture into the pan and cook for 15 minutes or until just set. Sprinkle with pepper to serve. Serves 4.